This concert begins with Mozart’s brilliant “Prague” symphony. The Madison Symphony Orchestra then welcomes pianist Marc-André Hamelin, who makes his Madison debut with two contrasting works: Strauss’s flashy Burleske, and the Jazz-inflected Concerto in G Major by Ravel. Rounding off the program is Debussy’s La Mer—a colorful, impressionistic seascape painted by this great French composer. 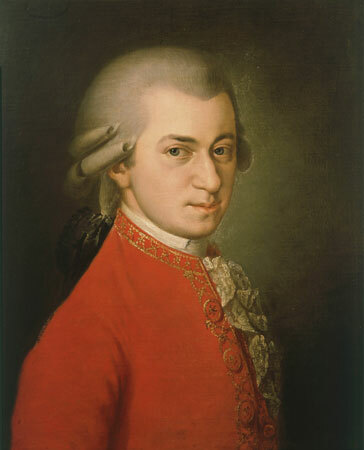 Mozart completed the symphony on December 6, 1786, it was first performed in Prague on January 19, 1787. We have played it twice at these concerts, in 1981 and 1994. Duration 26:00. What is now known as the “Prague” symphony is richly orchestrated, and calls for skillful playing, particularly from the woodwinds. There is also a depth to this music, particularly in the way that Mozart develops his material, that points to what is to come in the great final trilogy of symphonies he would compose in 1788. The opening movement begins—rather uncharacteristically for Mozart—with a long slow introduction (Adagio). In the middle of this section, Mozart turns rather abruptly from Major to minor, heightening the sense of operatic drama. When he finally slides back into Major it sets up a sense of expectation, fulfilled at the appearance of the energetic beginning of the Allegro, set in sonata form. Several writers have commented upon the uncanny resemblance between the main theme and the opening of the overture to his final opera, The Magic Flute (1791), and the exposition provides a wealth of additional thematic ideas, often with surprising harmonic twists. Mozart then proceeds to one of his longest and most intense development sections. The way in which he carefully developed and combined thematic material in this section apparently the result of quite a bit a bit of careful labor—Mozart’s surviving sketches for this section show him experimenting with various permutations and combinations of his themes. None of this work shows through in the seemingly effortless grace of his development section, however. A conventional recapitulation gives way to a lengthy coda that reinforces the comic-opera flavor of this movement. The operatic character of this symphony continues in the beautifully songlike Andante. Set in a gently rocking 6/8 meter, this movement alternates between a pair of lyrical, and quite chromatic themes, which Mozart develops with an eye for drama. While the reigning mood is serene, there are frequent darker passages with turns towards the minor key. The movement is also notable for its contrapuntal intensity, a hallmark of his late style. Mozart breaks with tradition by abandoning the Minuet that usually stands as the third movement, moving instead directly to the finale (Presto). It begins with a bit of self-quotation that must have tickled his Prague audience: the opening theme bears an unmistakable resemblance to “Aprite presto,” the hilarious duet between Susanna and Cherubino in Act II of Figaro. This irrepressible melody is merely the first of several lively ideas he explores in this movement, which calls for brilliant playing from woodwinds and strings. Again there are occasional turns to the minor, but in this exuberant movement, the effect is wry and good-humored, rather than tragic. Strauss composed Burleske in 1885-86. The first public performance of the work was in Eisenach, on June 21, 1890, with pianist Eugen D’Albert. Our previous performances of the work were in 2007 with Per Tengstrand and in 2015 with Emanuel Ax. Duration 22:00. Burleske is among Strauss’s early compositions, marking the end of his musical apprenticeship. When he was still a teenager, Strauss wrote his first orchestral pieces for the Wild Gung’l (roughly, “the wild gang”), an amateur orchestra his father conducted in Munich. In 1883, he came to the attention of the pianist and conductor Hans von Bülow, whose Meiningen court orchestra was possibly the finest ensemble in Europe at that time. Bülow promoted the teenager by performing and commissioning works by Strauss, and eventually naming him an assistant conductor. It was during these heady times that the young composer completed an ambitious Scherzo in D minor for piano and orchestra. 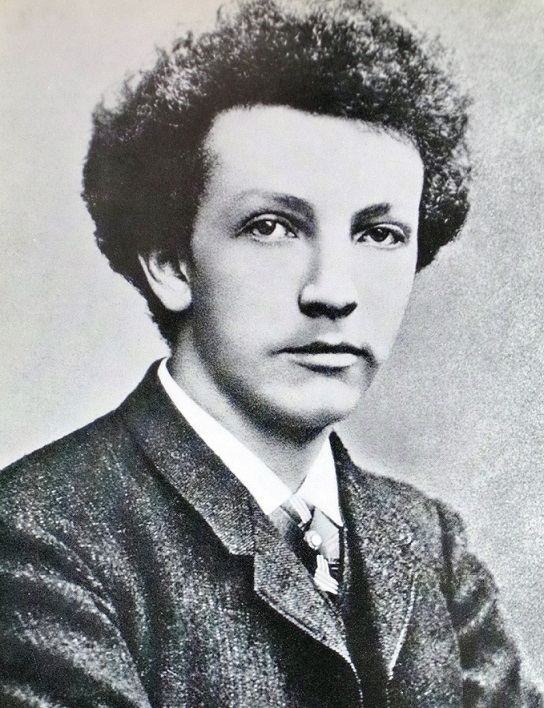 In the spring of 1886, Strauss played and conducted a test-run of the new piece with the Meiningen orchestra, and was thoroughly disappointed. He later wrote to Bülow that: “...given an outstanding (!) pianist, and a first-rate (!) conductor, perhaps the whole thing will not turn out to be the unalloyed nonsense I took it for after the first rehearsal. After the first run-through, I was totally discouraged...” For his part, Bülow was not particularly encouraging, describing the work as “unplayable” after looking through the score. The Scherzo was promptly buried, and didn’t reemerge until Strauss showed the score to the pianist Eugen D’Albert, a disciple of Liszt, four years later. D’Albert was taken with the work and offered to play the premiere. Though he seems to have remained a bit ambivalent about the piece (he never, for example, assigned it an opus number), Strauss undertook some revisions to his 1886 score. D’Albert premiered the work, now retitled Burleske, in June 1890. While it has never ranked among the most popular works in the Romantic solo piano repertoire, Burleske is still played today: a brilliant showpiece for the pianist, and a work of youthful exuberance by Strauss. Though Strauss avoided calling this a “piano concerto”—Burleske translates as “mockery” or “farce”—the whole piece is structured very much like a vastly-extended concerto first movement. There are tongue-in-cheek touches however. Much of the basic thematic material is laid out in the opening bars, not by the piano or orchestra, but in a brusque timpani solo. The piano enters abruptly with a strident version of this idea. This theme works itself to a rather quiet conclusion, and then the piano introduces a second idea in lilting waltz rhythm. The development of these themes is carried equally by the orchestra and the solo part. There is a rather literal recapitulation of the opening section, broken up by two extended solo cadenzas, before the piece ends with a surprisingly subdued coda. Bianconi in 2001. Duration 23:00. The work is laid out in the mold of a Mozart concerto, in three movements. The opening movement (Allegramente) is set in sonata form. The main theme is a quirky, offbeat melody carried first by the piccolo and then by the trumpet, as the piano provides a showy accompaniment of arpeggios and glissandi. The second theme, presented by the piano, is a sleepy Spanish-flavored melody, accompanied by Jazz-inflected “blue notes” from the woodwinds. True to Classical form, he presents a brief development and slightly reworked recapitulation of the main themes. The piano has a flashy cadenza just before the close of the movement. The second movement (Adagio assai) begins with a dramatic rhythmic effect in the piano: the right hand melody is in 3/4, while the left-hand accompaniment is in 6/8. This figure continues throughout, adding a note of uneasiness to what is otherwise a quiet and atmospheric movement. This tension is not relieved until the last two measures, when the pianist’s left hand finally gives in, and joins the melody in 3/4. In keeping with the “Mozartian” character of the concerto, the last movement (Presto) is a rollicking rondo in 6/8. This is the most clearly “Jazzy” of the three movements, but it also provides a showcase for the soloist, as everything flashes by at blazing speed. La Mer was composed between 1903 and 1905. The premiere took place on October 15, 1905 at the Concerts Lamoureux in Paris. It has been performed five times previously at these concerts between 1967 and 2013. Duration 25:00. The Impressionist painters loved water. Its reflective and refractive qualities—its ability to sparkle or to take on the colors around it—were attractive and useful to these painters concerned with light and subtle shadings of color. Water plays a central role in hundreds of Impressionist works, such as Renoir’s The Siene at Asnières, Cézanne’s Lake at Annecy, or dozens of works by Monet, from his early seaside pictures to his late series of water lilies. Though Debussy clearly hated the term “Impressionism” as much as the painters, he had similar artistic concerns, and it is hardly surprising that much of his music is based on his impressions of water in different states. A few of the more famous examples are works for piano such as Jeux d’eau (literally: “games of water”) and Le cathédrale engloutie (“The sunken cathedral”), the “fountain scene” from the second act of his opera Pelléas et Melisande , and, of course, La Mer (“The Sea”) In these, and many other works, Debussy’s multicolored harmonic palette and his freedom from strictly-defined musical forms help to portray the sometimes glittering, sometimes swirling, sometimes murky, always inconstant nature of water. In composing La Mer, Debussy drew his inspiration directly from the sea: specifically the English Channel. 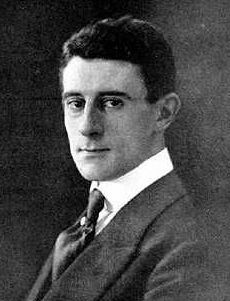 He began work on the piece in 1903, but in 1905, he traveled to Eastbourne, a seaside town on the southern coast of England, to finish the score. Writing to his publisher from Eastbourne, Debussy noted: “This place is peaceful and charming. The sea rolls itself with a correctness that is truly Britannic... But what a place in which to work! No noise, no pianos (except for those delicious mechanical pianos), no musicians talking about painting, no painters talking about music...” The first performance, at the Paris Concerts Lamoureaux later that year, caused a furor, and received some extremely nasty reviews. Although La Mer was indeed revolutionary in sound, part of the blame for its bad reception with the Paris critics may have lain with indignation over Debussy’s own sarcastic and combative writings about music, and with the public scandal surrounding the composer’s marital troubles. La Mer’s early career continued on the same rocky course: performances in Paris, London, and Boston and New York over the next three years were scarcely better-received than the first. 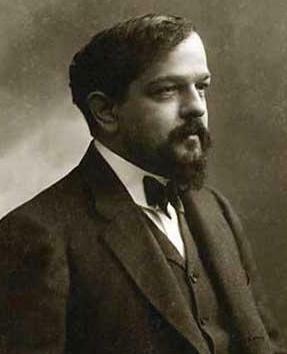 One Boston reviewer’s reactions are typical: “We clung like a drowning man to a few fragments of the tonal wreck, a bit of theme here, a comprehensible figure there, but finally this muted-horn sea overwhelmed us.” The work gained public acceptance only after Debussy’s death, and has since become one of his most well-known orchestral works. La Mer is laid out in three sections, each of which is given a descriptive title. However, this music is not “programmatic” in the traditional sense: Debussy subtitled the work Three Symphonic Sketches, suggesting that the sections portray only the vaguest notions of visual images. The opening section, titled De l’aube à midi sur la mer (“From dawn to noon at sea”), begins quietly with fragments of melody in the woodwinds, above muted strings. The central portion is constantly in motion, flowing from one brief impression to the next, and the first section ends with a recollection of the sea’s depth and power. The second section, Jeux de vagues (“Games of the waves”) is in some sense a dance, although it is a chaotic and playful dance of complex and shifting rhythms, and unexpected changes of orchestral color. The concluding section is titled Dialogue du vent et de la mer (“Dialogue of the wind and the sea”). There are several subtle references to material from the opening section, and broader presentation of a few melodies. The scoring is much denser than in the previous sections: full orchestra much of the time. If the word “bombastic” can be used anywhere in description of Debussy’s music, it is in this section of La Mer, where the sea is squalling and wild.